Howleen is a teen werewolf with a creepy cool style. She's the little sister to Clawdeen Wolf and has a fun style she likes to call "were-punk" where she mashes lots of different looks together to make her own spooky style. 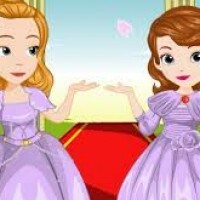 Much fun!Help her to be more beautiful!Join now and have fun!